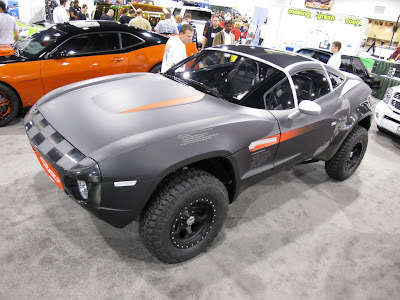 Local Motors Rally Fighter - Showcasing the super cool Local Motors Rally Fighter car. 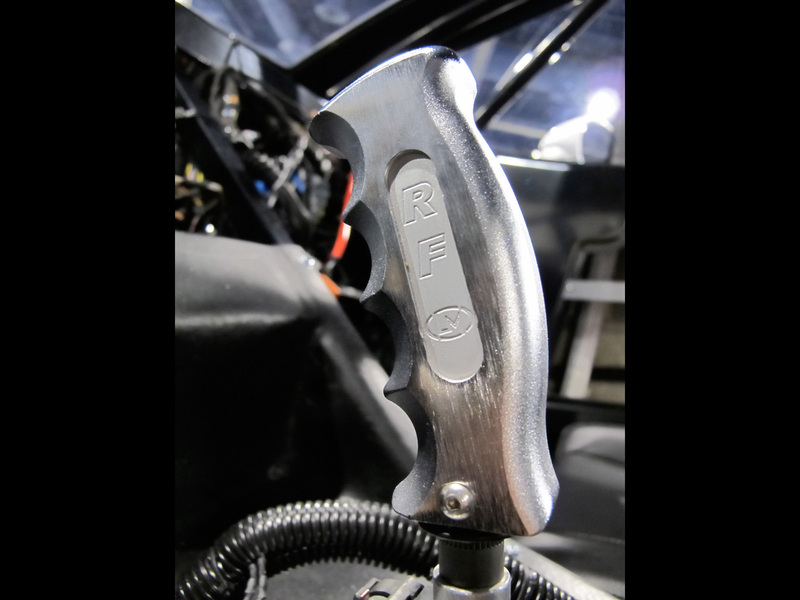 The Off-Road Racer designed for car enthusiasts, by car enthusiasts is debuted at the biggest industry event of the year at SEMA, in the 'Making Green Cool Zone' It's one of the most exciting cars to hit the road in ages. Aggressive, sleek and inspired by old War Birds, the Local Motors Rally Fighter has the heritage of legacy with fresh appeal. The story of this vehicle is in its revolutionary yet simple development process - it was designed and developed by a community of car enthusiasts. 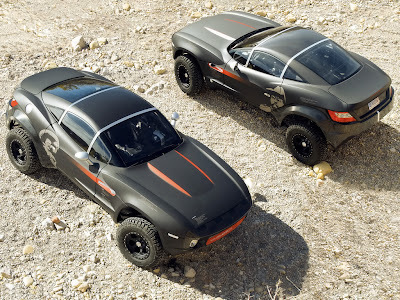 New American car company Local Motors invites anyone with a passion for cars to collaborate in an open design process to help choose and shape the look of each Local Motors vehicle. Now home to over 4,000 car designers, engineers and enthusiasts, the Local Motors community is the largest of its kind - and the only to bring a new car to market. "A Car Story" - The Rally Fighter Takes Flight! 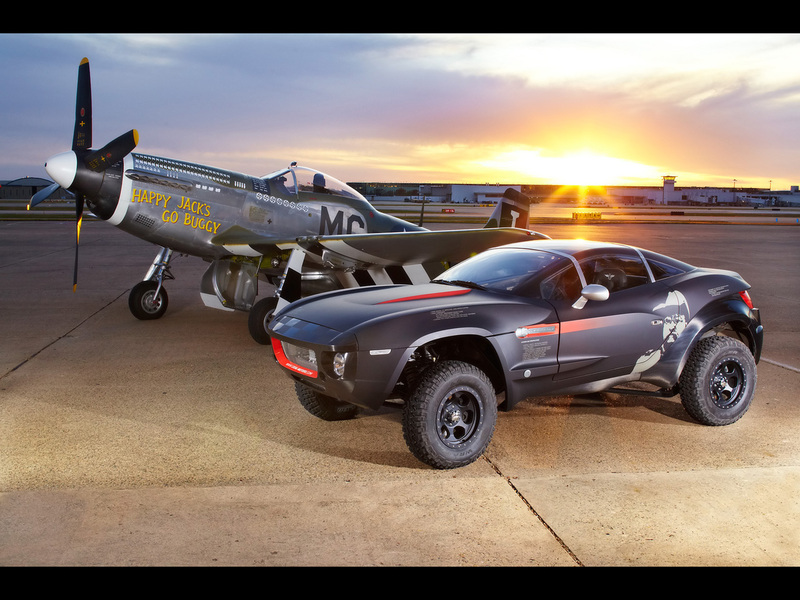 The Rally Fighter is a premium, authentic off-of-road experience, custom designed and built for the deserts of the American Southwest. It was designed by community member Sangho Kim while many Local Motors' members participated in the open development process. Together with the company they helped collaborate on body design details, side vent creation, interior and even accessory design. Undiluted design, power and efficiency is the result. The Rally Fighter is powered by a 3.0 liter twin-turbo clean diesel sporting 265 ponies and a striking 425 pound-feet of torque at only 1750rpm that are directed to the rear wheels through a 6-speed automatic transmission. It is built to suit several different efficient engines, and so far the customers prefer clean diesel. 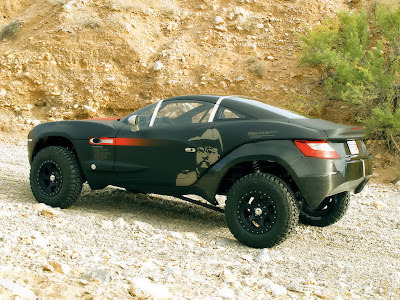 The Rally Fighter is lightweight at only 3,200 pounds which allows for exceptional performance and efficiency. Build process and end product are so efficient the car is debuting in SEMA sponsored 'Making Green Cool Zone'. At 30-36mpg, the Rally Fighter is competing for most efficient in its desert off-road class. In addition, Local Motors utilizes a sustainable build methodology and builds cars 'Just-In-Time'. This process creates little or no waste, and allows customers to actually participate in the build process of their own Rally Fighter. 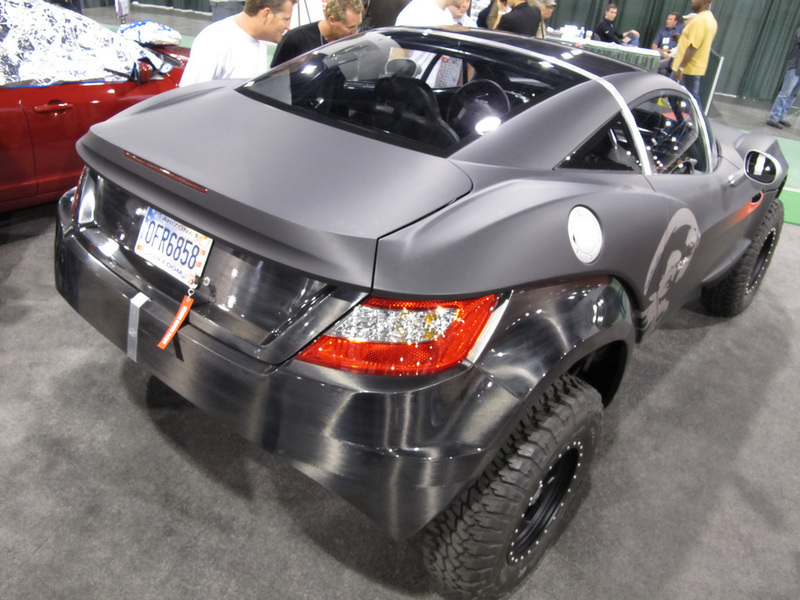 Local Motors builds cars with customers in regional Micro-Factories which double as service stations. The first Micro-Factory is in Wareham, Massachusetts, and the second will be built in Phoenix, Arizona in 2010. Local Motors plans for 50 Micro-Factories around the country. 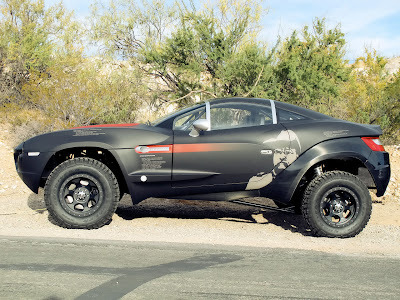 This enthusiast experience continues as Local Motors allows customers to host 'Custom Car Skins' Competitions on local-motors.com. 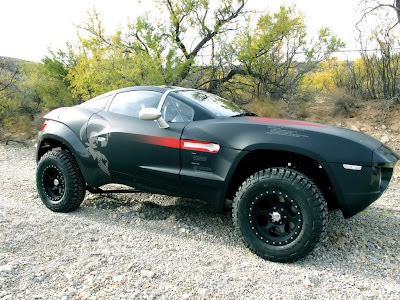 Local Motors designers compete to create custom graphics to for Rally Fighter owners based on desired specifications- every outcome is unique. The graphics are applied with vinyl, not paint, which is lightweight, customizable, and recyclable.